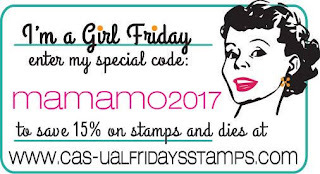 I love versatile stamp sets. I've said that time and time again. Any stamp that can get me through all four seasons and many occasions is a winner in my book. 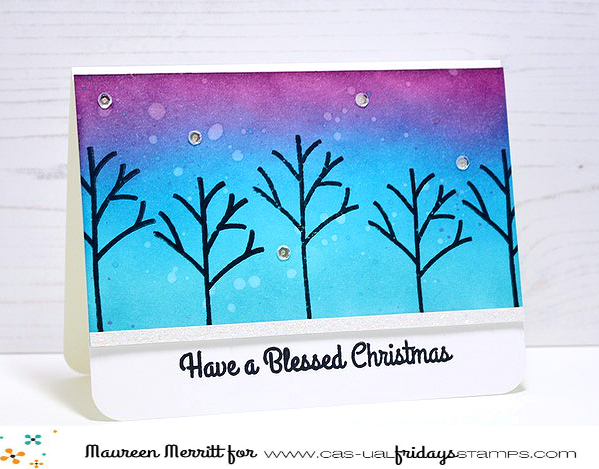 Here I've used the Calm & Loving stamp set by CAS-ual Fridays Stamps to make a Winter scene. I paired it with a sentiment from Lovely Blessings and you would think it was made for Christmas. Take a peek below and you'll see it's not a holiday set!! Slowly but surely I'm building my Christmas card stash. I'm currently at 25 of 60 complete. When do you start your holiday cards? How many do you make to send out? Leave a comment and let me know! 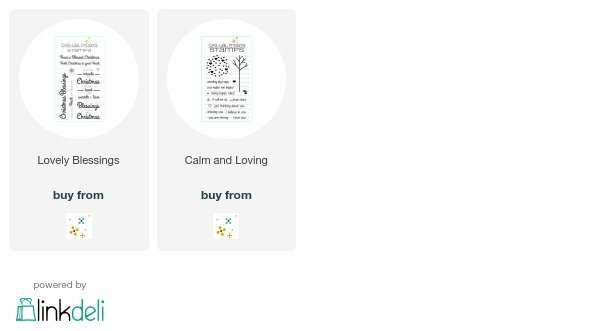 If you'd like to add the following products to your cart, use my code and save 15%. Select holiday sets are on sale through Sept. 30th too. So make sure you check that out! Well, Hello Tilly's Magic Garden! New Release at CP Designs!